The US President has issued a stinging attack on Saudia Arabia’s handling of the death of Saudi journalist Jamal Khashoggi. "The cover up was one of the worst in the history of cover ups," he told reporters from the Oval office on Tuesday, adding “somebody really messed up”. Whoever came up with the idea to kill the Washington Post columnist is in “big trouble”, he continued. 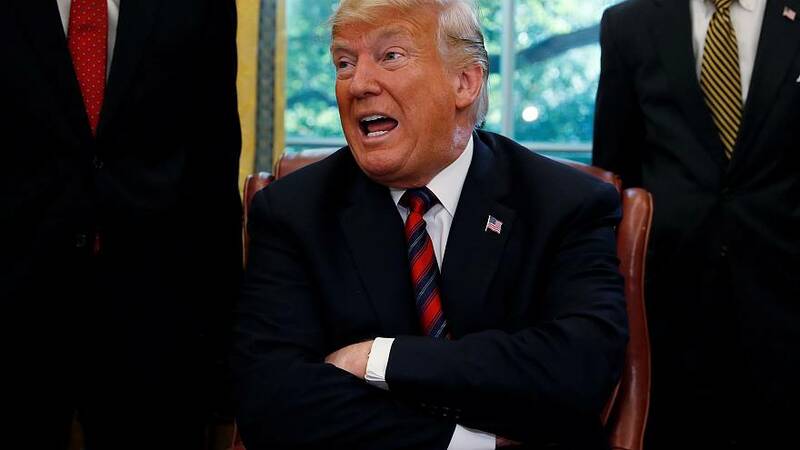 The president later labelled the entire affair as “a total fiasco”, yet stopped short of directly criticising the Saudi kingdom’s de facto ruler, Crown Prince Mohammed bin Salman, who strongly denied involvement, according to Trump. Khashoggi, a critic of the gulf nation’s government, disappeared after entering the Saudi consulate building in Istanbul on October 2. After weeks of denials, Saudi officials admitted he did not leave the building alive and said he died in a “fist fight”, yet Turkey has claimed they have evidence to suggest he was dismembered alive and murdered.